Being in the full swing of summer, it seems appropriate to discuss the inevitable formal events that pop up along the way. From your cousin’s wedding to a work conference or luxurious date night — we’ve got you covered for all your posh warm-weather needs. For the inevitable summer wedding; a starry dress means you will sparkle all night without taking attention away from the happy couple. An added bonus: its short length and sheer sleeves mean you’ll stay cool while dancing the night away. Keep your accessories minimal, but don’t forget to don earrings that compliment your starry motif. 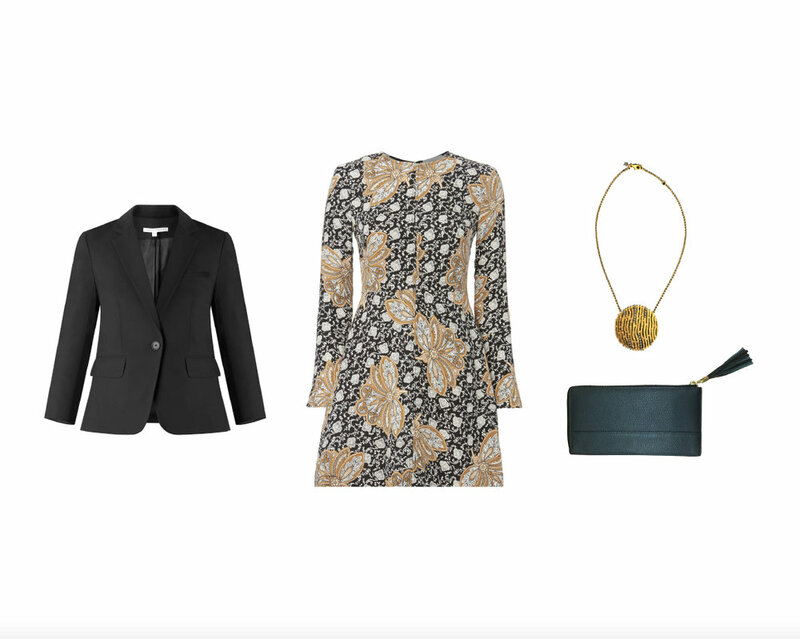 For the career woman in need of stylish professional wear; opt for a patterned day dress topped with a classic blazer. The versatility of this dress means you can easily transition your look from day to night. For day wear, pair with black booties and minimal jewelry. For after work drinks, shed the blazer and add a black clutch and red lipstick. For the modest mouse who wants to beat the heat: try a sleeveless maxi with a lacy bottom. The full-length lace ensures that you won’t reveal too much while simultaneously keeping your look cool and breezy. Add a bag for a pop of color and layer on bangles for some subtle bling. Wear to dinner at an equally chic restaurant.